Found 11 blog entries for October 2015. Saturday, October 31st, 2015 at 9:09am. This week's Edmonton Real Estate Market Update provides a much needed relief, presenting a break from the past two weeks' slump. 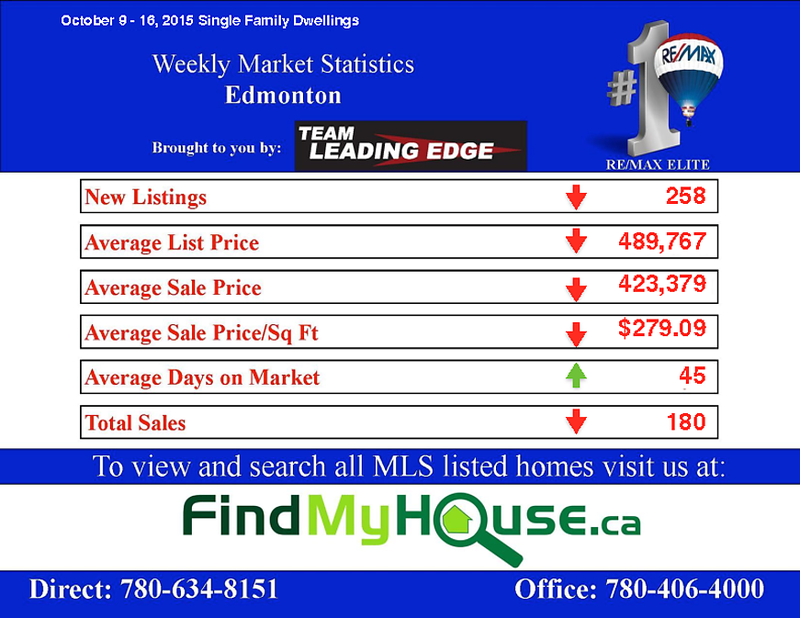 As shown in the chart below, New Listings on the Edmonton MLS have improved growing to a high of 274, from a low of 258 from the first week of October. 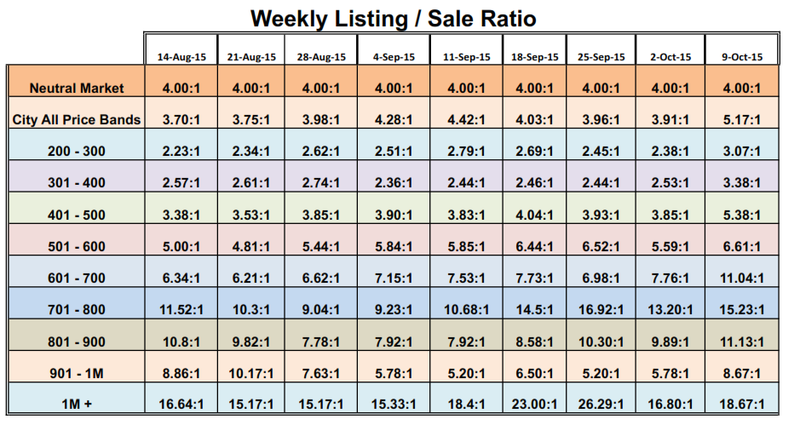 Average List and Sales have improved against that stats of October 16 - 23. Average Days on Market have stayed constant at 54 while Total Sales grew to 183 from 169 last week. Tuesday, October 27th, 2015 at 2:35am. 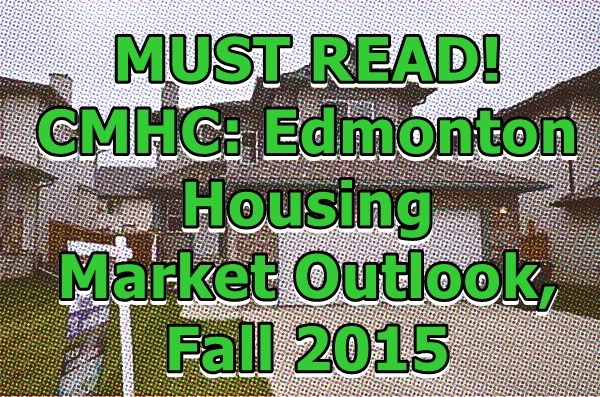 We'd like to share with you this Tuesday CMHC's Edmonton Housing Market Outlook, Fall 2015 Edition. 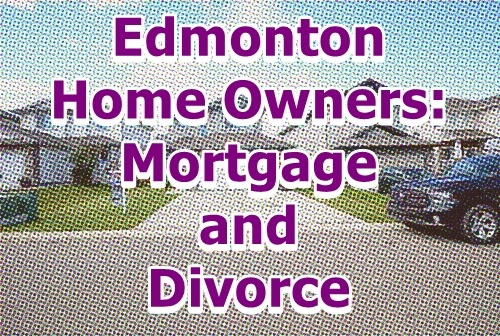 This material contains valuable information for Edmonton home buyers, sellers and investors. In today's economic environment, data like this is crucial in order to make sound business decisions. Is it the right time to sell? the right time to buy? or would a rental property be profitable this last quarter of the year? We hope this CMHC report could help you answer those key questions. In our previous post, Edmonton Real Estate Market Weekly Update: Oct 9 - 23 2015,we reported that new Edmonton Houses For Sale listed in the Edmonton MLS have dropped significantly, this CMHC market outlook would paint a general picture of the overall market. Saturday, October 24th, 2015 at 8:54pm. Just a friendly reminder this weekend, if you're looking around for a home to buy in the Edmonton MLS. 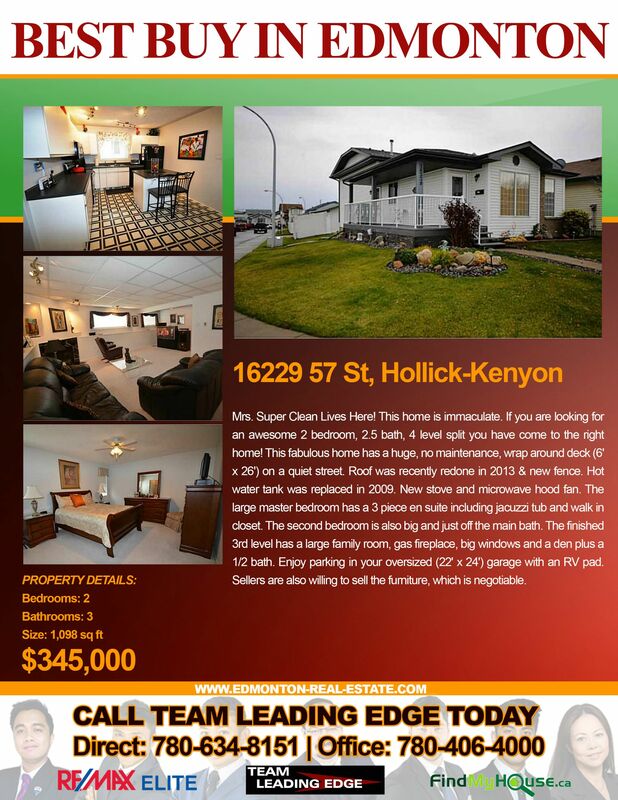 If you're thinking of moving to Hollick-Kenyon, then this is a great opportunity for you and your family to own a home there... for only $345,000! This 2 bedrooms, 3 bathrooms Edmonton home come with a 6" x 26" wrap around deck, newly done roof and fence, brand new stove and microwave hood fan, jacuzzi tub and walk in closet. The price tag is surely worth it! 1,098 sq ft is enough living space for kids to play around in and for you to do your work. Surely, this is one of the most attractive Edmonton homes for sale on the market right now. Call Team Leading Edge to view today. Saturday, October 24th, 2015 at 9:18am. Having a great weekend? We hope you do because in our Edmonton Real Estate Market Weekly Updateyou can expect to have a roller coaster ride in the next week ahead (that is, if you're selling your Edmonton home). This Saturday, we present to you the real estate stats that matter. We crammed 2 weeks worth of data into this single post to keep you up to speed. In the first graph covering the October 9 to October 16, almost all the key real estate indicators are on the red while the most important is up on the green. Average days on the market is now only at 45 days. That's just a month and half for your Edmonton home to get sold off the Edmonton MLS. Thursday, October 22nd, 2015 at 7:54am. Thinking of buying an Edmonton condo this October? Then you have a great deal of things to deal with. 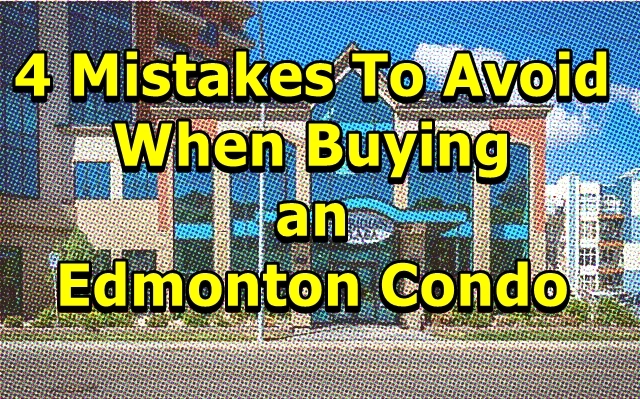 This Thursday, we discuss the mistakes Edmontonians from the past and even the present have and are still making when buying an Edmonton condo. First and foremost you have to consider the rules and regulations of the Edmonton condominium before even considering to putting on an offer. Edmonton condominiums for sale have different rules and regulations from one another so don’t mistake them to be uniformed. Wednesday, October 14th, 2015 at 8:28am. Be the newest resident of Hollick-Kenyon! For only $345,000 you can now be a part of this beautiful community. This 2 bedrooms, 3 baths home located in 16229 57 St. at one of the most attractive homes for sale in Edmonton, so don't miss this great opportunity. Take a quick tour of your future home here. Saturday, October 10th, 2015 at 6:15am. HOME FOR SALE IN SPRUCE GROVE! Price have just been recently reduced! At $430,000 this should be a great bargain for you! 4 beds, 4 baths and a huge 1,739 sq ft of living space. You and your family would love this place. The interior design and floor plan is a complete delight as it maximizes every space of the house. 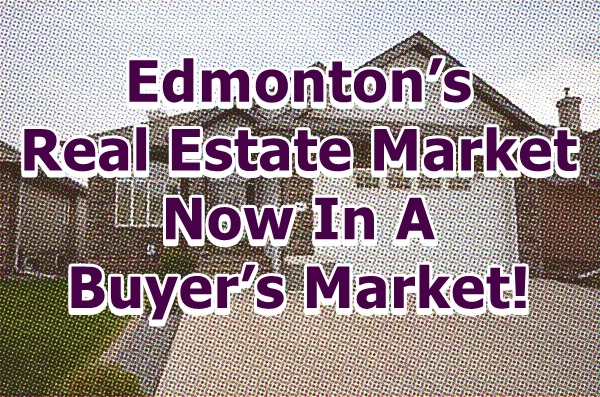 Edmonton’s Real Estate Market Now In A Buyer’s Market! Friday, October 9th, 2015 at 7:38pm. Wednesday, October 7th, 2015 at 7:51am. In this not so perfect world, sadly, marriages end. It’s not all love ever after. What makes everything more painful is that you’ll still be stuck with the mortgage the two of you got when you were still a couple. This Wednesday, we discuss what happens to a mortgage in the event of a divorce. First and foremost, you have to understand, your mortgage company will consider you as still married and liable for the mortgage. The only time you will be free from this liability is when you sell your Edmonton home. The most important thing here to remember is, when dealing with this kind of situation, you need to put your emotions aside and aim your attention at getting your finances in order. Monday, October 5th, 2015 at 6:47am. This first Monday of October, we’re bringing you up to speed into the mechanics of how to sell your Edmonton home properly. The topic that we’ll discuss today is “Edmonton Home Inspection”. 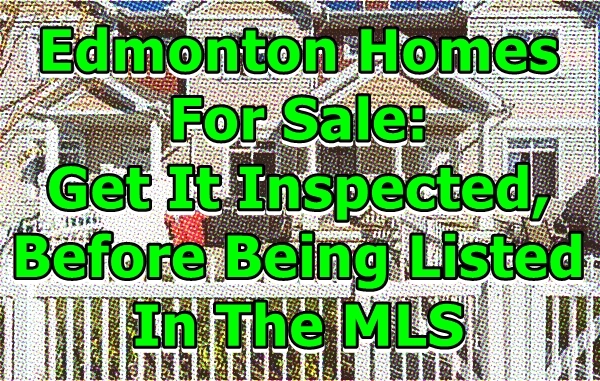 Some Edmonton home sellers still don’t know the importance of getting their home inspected before being listed in the Edmonton MLS. That right there spells disaster. In this challenging economic times, not being thoroughly prepared would make you lose money instead of earning it. Here’s a few points you need to remember why Edmonton home inspection is crucial.